DIWA Labs has tested the Carl Zeiss Planar T* 50mm f/1.4 ZE lens on a Canon EOS 5D Mark II camera. 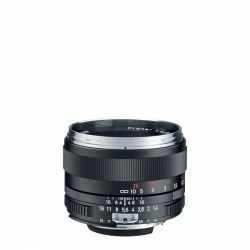 This manual focusing lens delivers excellent results at small and medium apertures, but is a bit soft wide open on a full frame camera especially in the corners. Read all the tests of the Carl Zeiss Planar T* 50mm f/1.4 ZE lens on the Canon EOS 5D Mark II full frame DSLR body here. The tests done by DIWA Labs are very technical so you need to read their test guide to understand the test results.